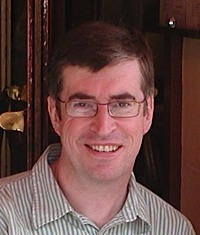 Spatial Networking was founded in September 2007 by Peter Batty. Peter is widely seen as an industry leader in the rapidly growing field of geospatial and location technologies. In addition to his role as President of Spatial Networking, he serves as Chief Technology Advisor to Enspiria Solutions and is on the advisory board of Public Earth. He has been a member of the GeoWorld magazine Editorial Advisory Board since 1996, has published many articles and spoken at many conferences around the world, and has received a record nine speaker awards from GITA (the Geospatial Information and Technology Association), for presentations at their North American and Australian conferences. He has been involved with industry standards efforts including the Open Geospatial Consortium and IEC TC57 Working Group 14, and is currently a member of the Board of GITA. Peter also worked in the geospatial field with IBM.